GK Dutta > PHOTOGRAPHY > THIRSTY! She is Queen (I am Sorry I don’t have that courage to ask her name!) a Himachali tribal little, innocent girl. 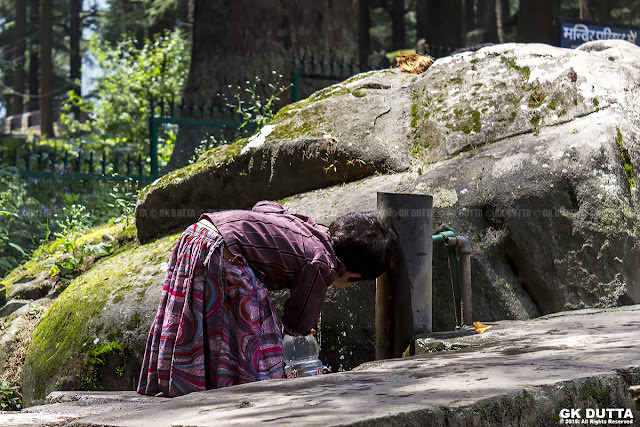 It was August 23rd, 2014 around 11 Am I was at Hidimbi Devi Temple, as I remembered that day weather was no so hot but it was monsoon session, as we see in that picture, at first she refilled her bottle with water and after that she taken some sip of water to reduce her thirst.